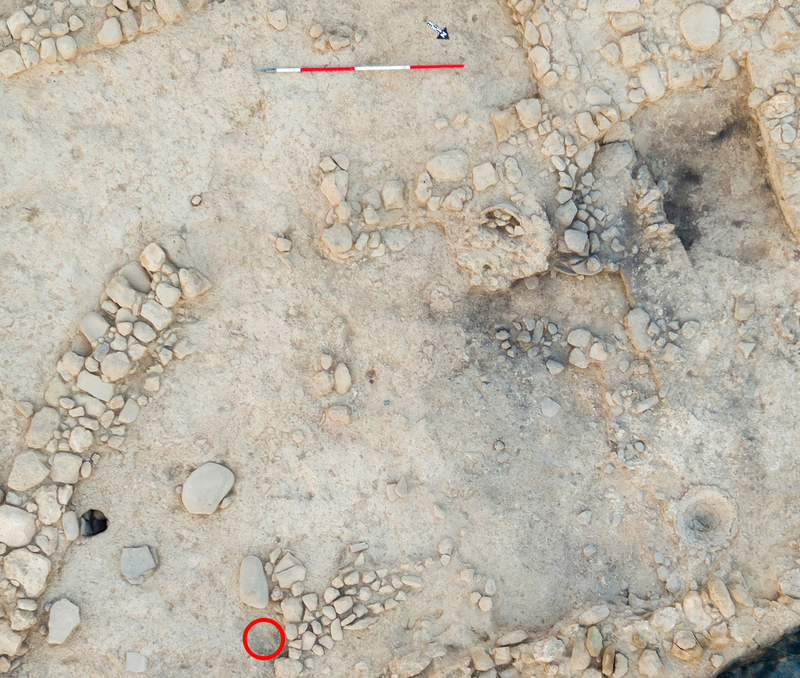 Figure 1: Area P/B2 showing location of ashy area (upper right) and ground stone installations and post hole (lower left). 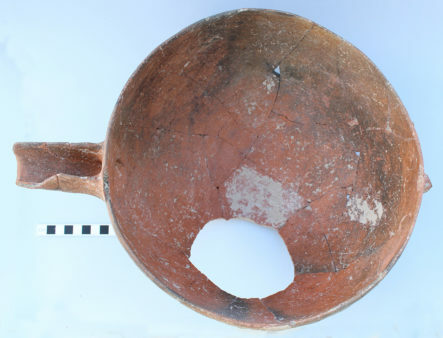 The position of Red Polished IV bowl (KS651) prior to removal is shown in the red circle. The 2018 season of archaeological excavations at the Bronze Age settlement of Kissonerga-Skalia near Paphos, under the direction of Dr Lindy Crewe (Director, Cyprus American Archaeological Research Institute), has been completed. The site demonstrates a long Bronze Age sequence, and earlier Chalcolithic occupation, beginning before 2,500 BC and connected with the neighbouring Neolithic–Philia phase settlement of Kissonerga-Mosphilia. The site was abandoned around 1600 BC, during the transition to the Late Cypriot Bronze Age.